There are some people who are natural athletes and clearly destined to achieve great things. For others, the road is harder and they have to put in a lot of effort in order to achieve success. The thing is that, most of the time, it is those who are willing to work that end up winning more than those with pure talent for whom it all came easy early on. Simon Spiteri has long been considered an athlete who is willing to work for anything that he wants. And now results are rewarding him. 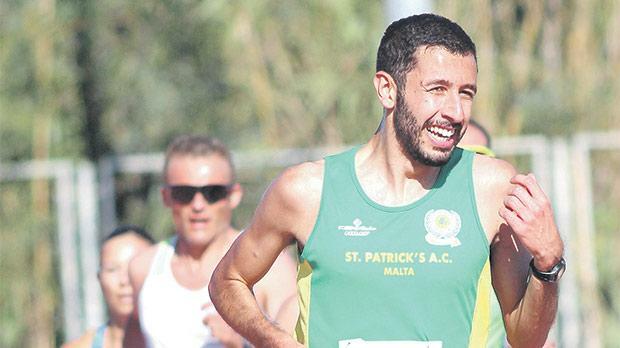 A good season on the track is being followed by some excellent results in road races including success in the Żurrieq 10K. It is an attribute that he himself acknowledges. “I think my fighting spirit and eagerness to achieve more are the strong aspects in running,” he replies when asked about what makes him stand out. Athletics was always going to be Spiteri’s chosen sport. “I didn’t have any choice really,” he laughs. “Usually when people ask how long I’ve been running I jokingly tell them that I started running before I learnt how to walk! “Since my father was a long-distance runner himself, from the age of four he had already started entering me in fun runs. That said, he never pressured me into running and always let me decide. His path to his current favourite distance – the 1,500m – is also a result of that freedom. He said: “When I was young, I tried all types of disciplines: sprints, jumps and throws. “I tried everything but my physical and biological characteristics were more suited for the middle and longer distances. “Growing up I was just a normal kid who enjoyed running. Then, when I was around 14, I decided to take it more seriously. That attention has seen him develop into an athlete capable of representing Malta at international level. “It’s always a great honour to represent your country at international level,” he confides. Spiteri’s commitment is a constant theme and something that his current coach, Xandru Grech, is constantly demanding from his athletes. “I agree with Xandru,” Spiteri said. “Whatever you do in life, you have to dedicate yourself to it and love what you are doing or else you shouldn’t be doing it. Spiteri’s ambition is to keep on pushing ahead. “My goal is to represent Malta in the GSSE, hopefully achieving the MQS for next year’s edition,” he said.